Despite Argentina questioning rights to the UK archipelago’s resources, hedge funds like Lansdowne have been building stakes in companies exploring the area. Argentina’s claims look weak and any use of force remote. That makes extraction costs the real investment menace. A depot for machinery and equipment used in oil exploration is seen in Port Stanley, March 13, 2012. 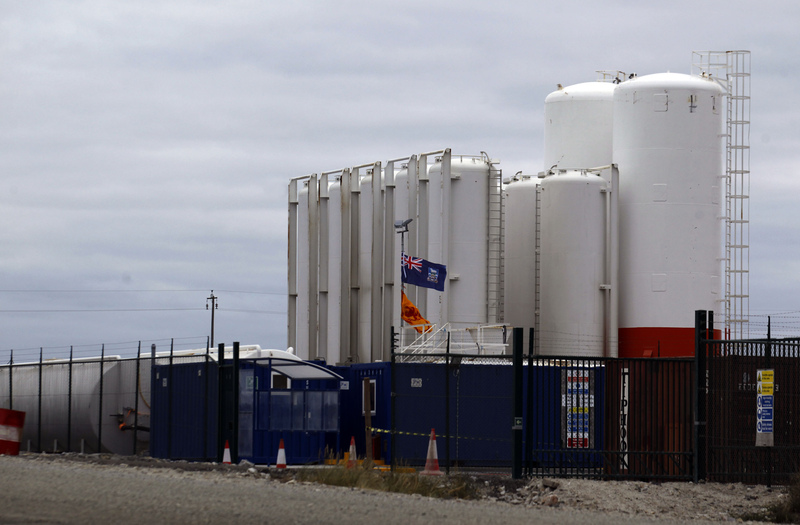 Argentina will take legal action against any companies involved in oil exploration in the Falkland Islands, Foreign Minister Hector Timerman said on Thursday. Picture taken March 13, 2012. Why should anyone care about the Falklands again? Hedge funds Odey Asset Management, Blackfish Capital and Lansdowne Partners have in recent months increased their stakes in several oil and gas companies exploring in Falkland Islands waters off the coast of Argentina, according to Reuters. Shares of publicly listed oil and gas explorers operating in the region have declined this year as the government of Argentine President Cristina Fernandez said it would claim the resources. Fernandez made an appearance at the United Nations in June and condemned a Falklands Islands referendum asking inhabitants if they preferred British or Argentine government rule. Oil explorer Borders and Southern Petroleum has lost two-thirds of its value this year; Rockhopper Exploration 42 percent; and Falkland Oil and Gas 16 percent. YPF, which was seized by Argentina in April, said in August it was considering teaming up with Venezuela’s PDVSA to explore Falklands waters.